Was able to get out this morning and I worked the shore close to the Texas Rowing Center on Lady Bird. As Dforbert suggested, I caught one good size bass on a creature bait dipped in jjs magic, t-riggedd. 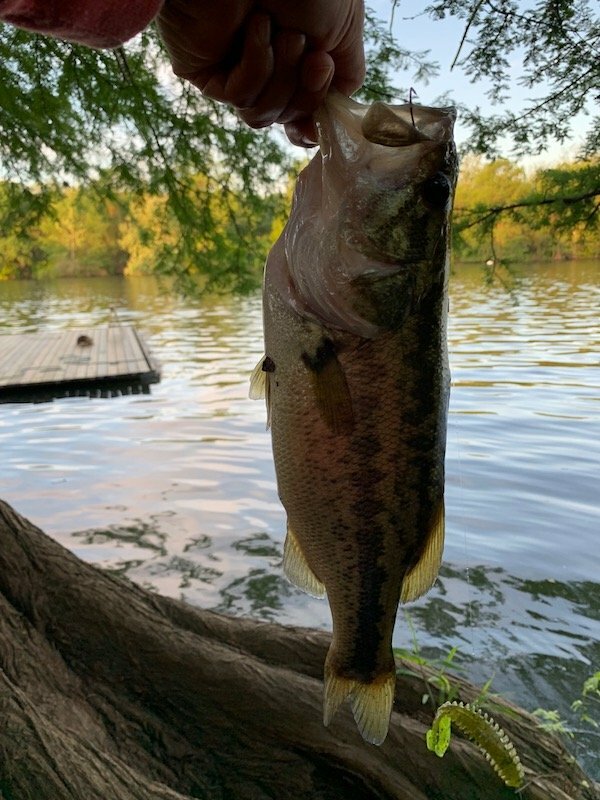 Struck out using a small keitech, a crank bait and lost a ned rig pretty quickly. Was only able to see one other LMB close to shore in about 2 hours of walking the bank.